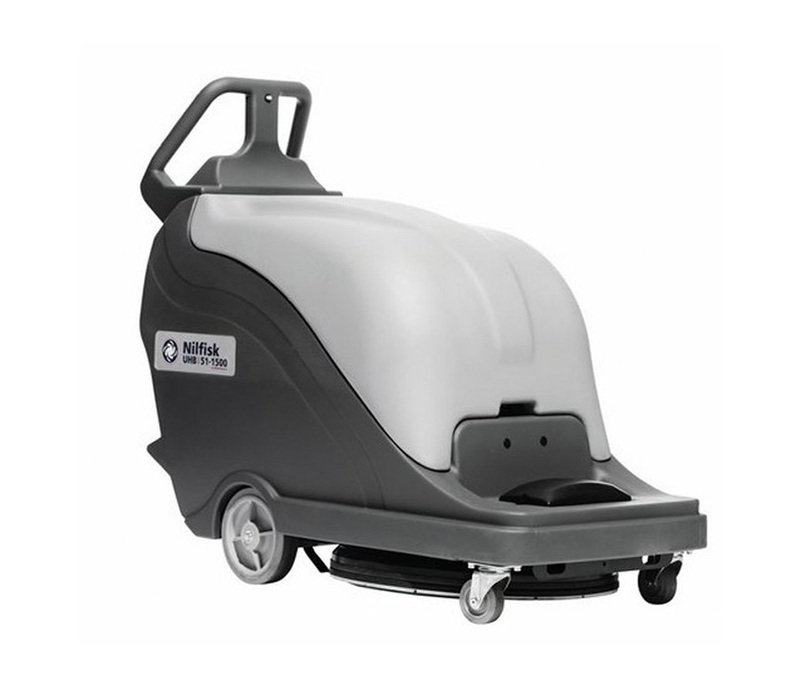 Floor Cleaning Burnishers UHB51-1500 represents the very latest and most technically advanced means of restoring and maintaining a high gloss shine on floors. The many improved features include easier-than-ever operation, added safety considerations, passive and (optional) active dust control. The biggest difference, however, between the UHB51-1500 and its competitors is performance. For medium/large hard floors, nothing compares to this outstanding and truly well designed burnisher. With typical Nilfisk attention to detail, the UHB51-1500 has the right handling, accurate pad pressure, and superb dust control to produce a professional finish with value-adding productivity gains. Simple controls and low profile design make operating the unit easier and safer. Self regulating pad pressure eliminates the need for adjustments and reduces operator errors.